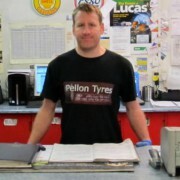 We’re very proud of our staff here at Pellon Tyre & Auto Centre. Here’s your chance to know a little more about them. 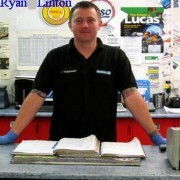 Dale began working in April 2007 he has achieved his NVQ Level 2 and is currently completing his Level 3. He enjoys spending his weekends getting beaten up on the rugby pitch. Alex began working in Aug 2005, he is currently completing his NVQ Level 2. He lives with Sadie and has 1 son called Jayden. He enjoys spending his spare time with his family. This was Ryan’s 1st full time job from leaving school and he has worked here ever since. Working his way up the ranks to become a MOT Tester. He also has Level 3 Certificate in Mobile Air Conditioning. He is married to Claire and has 2 children, Bailey & Lauren. He likes to watch rugby in his spare time and is a Big Man United fan. 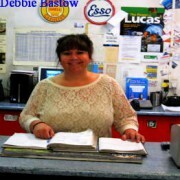 Debbie Bastow began working Feb. 1989 when Eric started the business. She managed the garage until leaving to have children, but still worked on a part time basis from home / in the office. Returned on a more full time basis in June of this year as Manager. Debbie is married to Mark, they have 2 children, Chloe & Freya. Debbie loves football and manages Tingley Athletic OA Ladies in her spare time. 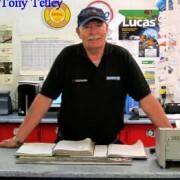 Tony started in April 1998 he now works part time packing batteries and helping out with deliveries. He is married to Corrine and enjoys walking his dog. Michael beg an working in Aug 2012 after being kept on from his Saturday job. He has achieved his NVQ Level 2 (in college) and is now completing his Level 3. He enjoys riding his motorbike & stock car racing. 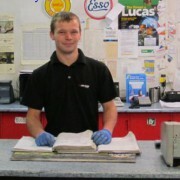 Jake started in March 2013 as apprentice tyre / exhaust fitter. He is currently completing his NVQ Level 2. He is a keen footballer and currently plays for both a saturday & sunday league. Dave started in June 2001, he has recently taken on a new role within the company looking after the battery department including EBAY. He is getting married next year 2014 to Sarah and has 2 children called Kieron and Alexus. He enjoys spending his spare time with his family.